UAC Safety Zone awards recognize UAC business-level member companies who have implemented safety and loss prevention programs through management commitment, employee involvement, and program innovation. Don’t miss this opportunity to step up and get recognized for your safety efforts. For the Safety First awards (Vehicle Safety, Health, and Lost Time) you just need to fill out the online application and submit your OSHA form 300A. Now there are no set minimums for accidents or incidents. Instead, your OSHA form 300A will be compared to other entries, based on fleet and company size. Whoever has the lowest numbers, wins! If you have a smart phone, you can enter! Just snap some photos and press the record button to document your safety efforts. It’s that easy – no professional photographers or videographers required. The entry form is completely online – just fill out the form and upload your documents. Couldn’t be simpler. 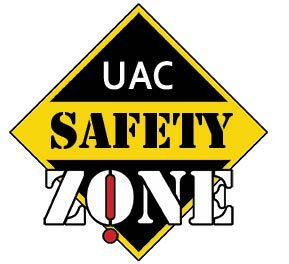 UAC’s Safety Committee is planning to sweeten the pot for the 2017 Safety Zone Awards. Stay tuned! Winning companies will be listed on UAC’s website and the award will be included on your company’s individual UAC web profile page, increasing your credibility and visibility. UAC will provide you with a press release to publicize your company’s proactive approach to safety. Safety and health performance are important to the overall success of your company. You can protect your employees by reducing and preventing exposure to hazards. A safe work environment results in less absenteeism, higher morale and enhanced relationships between labor and management. Obviously, employees benefit when injuries and illnesses decline, but so can your company’s bottom line. Dollar savings can be dramatic, including substantial reductions in workers’ compensation expenses. Good safety ratings can make you more competitive when bidding for new projects. Having documented safety programs in place greatly reduces your exposure to OSHA-related violations and fines. If your company has been struggling with safety issues, entering these awards will show your employees that you are serious about stepping up safety efforts. There is no entry fee but you must be a current UAC business-level member. These awards recognize safety performance from January 1 – December 31. Member companies are encouraged to enter any or all of the award categories. The next Safety Zone awards will cover January 1 – December 31, 2018. Applications will be due in March 2019; exact date to be advised.